Thirty years after its ratification, Secretary of State Mike Pompeo announced that the United States will withdraw from the Intermediate-Range Nuclear Forces Treaty. Citing violations by Russia, the Trump Administration is walking away from a treaty that has been an essential element of the international nonproliferation and arms control framework. The real target of the Trump administration’s move may be China, but the U.S. withdrawal from the treaty will certainly have major destabilizing impacts in Europe, Asia, and beyond. The risks of a new arms race are real, but this move by the Trump administration will also engender another subset of issues related to alliances and trust. The unilateral announcement by the United States was, unsurprisingly, met by puzzlement from NATO allies. With the demise of the INF, a potential U.S. deployment of missiles in the European theater will certainly spark major protests and opposition — a vivid flashback to the early 1980s. Moreover, although Europe is generally not keen on becoming the arena for a new ground-based intermediate-range missile arms race, the tangible nuances in how each ally responded to the U.S. announcement also highlight the risk of deepening divides within NATO itself, providing Russia further opportunities to weaken this alliance. Furthermore, if the Trump administration’s threats to terminate the INF treaty did not prompt Russia to address its serious compliance issues, the actual U.S. withdrawal after the announced grace period will still not resolve them. 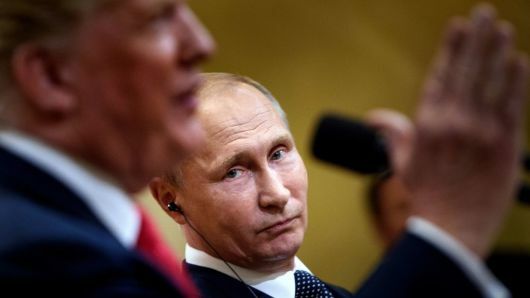 In fact, the pullout will also undermine talks between the United States and Russia for the renewal of the New Strategic Arms Reduction Treaty, known as the New START. This impulsive rhetoric, in turn, sets the tone for the upcoming 2020 Nonproliferation Treaty Review Conference. The long-standing challenge of reducing the gap between nuclear weapons states and non-nuclear ones has now become even more difficult to overcome. Reference: OPINION: Two minutes to midnight: chipping away at global arms control and alliances?